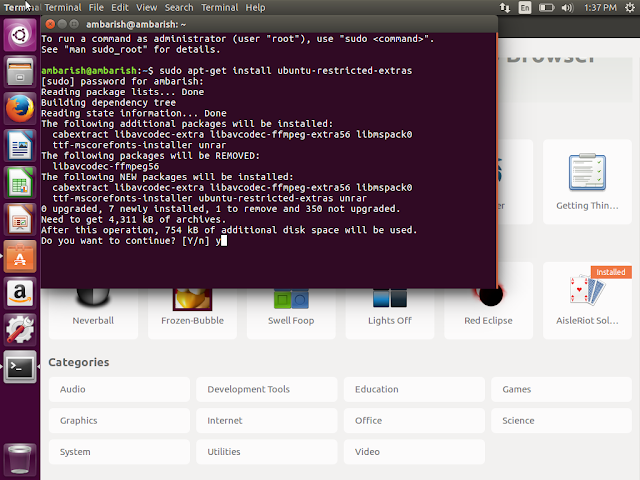 Ubuntu restricted extras contains most of the commonly used media codecs and fonts for Ubuntu and it is advised to install Ubuntu Restricted Extras as the first thing after installing Ubuntu 16.04 Xenial Xerus. Its a software package for Ubuntu that installs essential software which are not the part of Ubuntu Installations by default due to legal / copyright issue. Ubuntu is an Open Source OS and the packages under Ubuntu Restricted Extras are proprietary software, hence you are asked for it's installation. If you are a new user and installed Ubuntu 16.04, most certainly you will not find audio playing, or a message on any website to install Adobe flash plugin. The steps to install ubuntu-restricted-extras in 16.04 an easy process and we will see how you can do it. This will download and install all the packages. 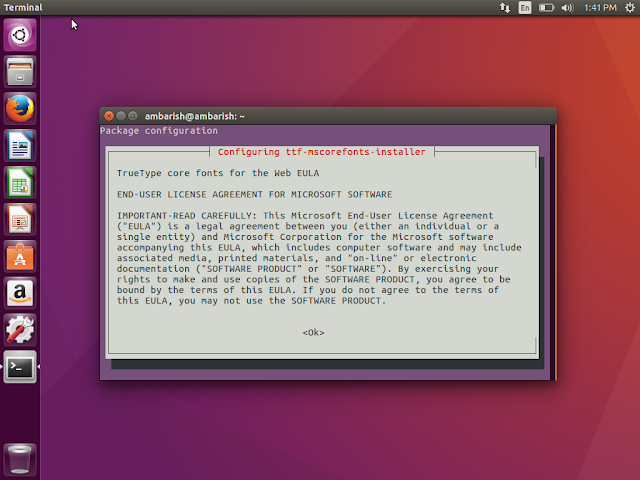 The installation steps will appear and it will ask you to accept EULA for Microsoft Software. Click on OK. It will again ask for the same for TrueType core fonts for the Web EULA. Select OK and the installation will finish. At last a message will pop up, "All done - no errors" and you have successfully installed Ubuntu Restricted Extras in Ubuntu 16.04 Xenial Xerus. If you face any issue, tell us in the comments.